This Terrine can be prepared not only for Valentine's Day, but also to any other party. 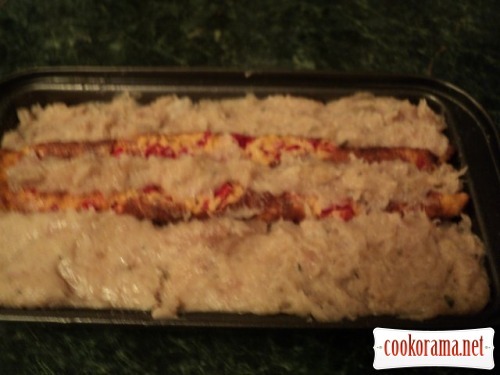 And in the morning your loved ones will also be pleased to eat a sandwich with a slice of this romantic Terrine, cooked with love! Bon appetit! 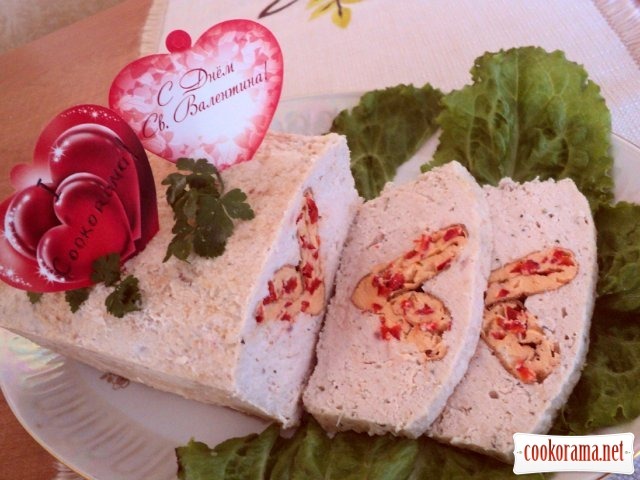 Happy St. Valentine! Prepare stuffing: chop pepper very finely, mix eggs and yolks with sour cream, salt, paprika. Add starch, chopped pepper, stir well. Bake pancake. Cut it in half, fold each half from the cut. Fold pancake in heart, wrap in foil. Cool to room temperature, then freeze in freezer. 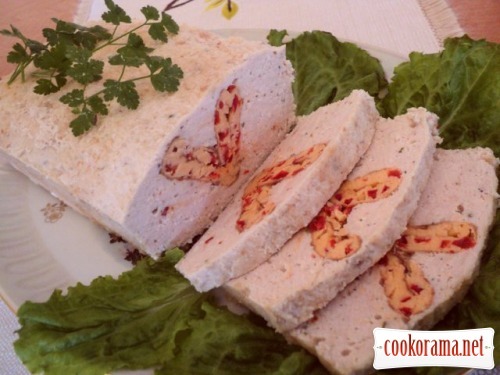 Cut fillet in pieces, grind in a blender or meat grinder with onions. In mince add salt, pepper, spices, soy sauce, sour cream, knead well. 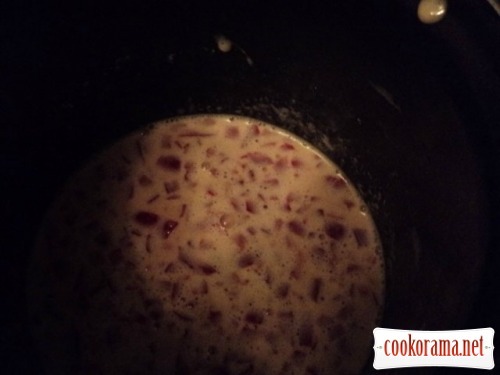 Add mixed egg whites and mix well until smooth mass. 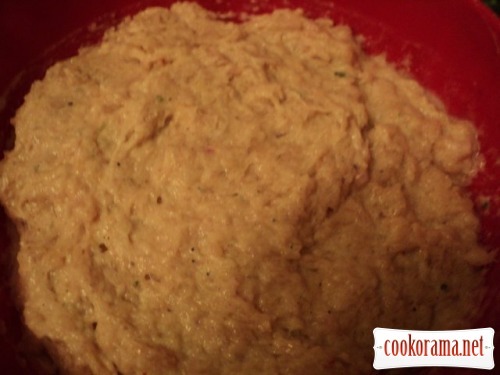 Grease baking form with oil, sprinkle with breadcrumbs. Share half prepared mince. Make a conical deepening with a spoon in center of form. 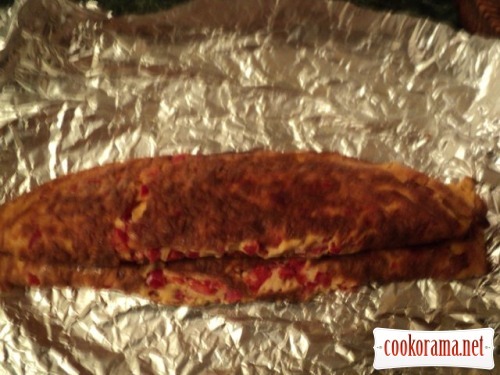 Put in deepening «heart» from omelette, thicken it from sides with mince well. 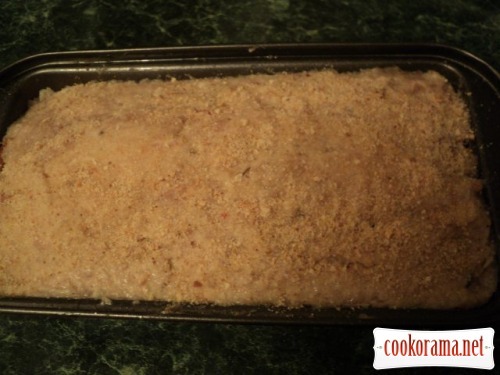 Top with rest of the stuffing, smooth with wet spoon, sprinkle with breadcrumbs. 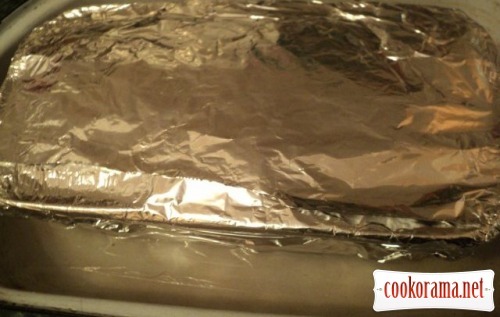 Wrap form in two layers of foil, put form in saucepan larger than the form. Pour water at 1/3 of height of form, put in the oven and bake at 180 degrees for 45-50 minutes. Remove ready terrine from foil, drain liquid and, not removing from form, cover with food film or foil and put in cold place. Put weigh on top and leave for 12 hours (better for a day) for cooling and maturation. 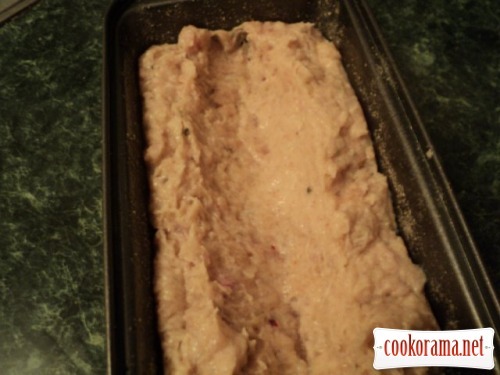 Remove terrine from form, serve it, in slices. 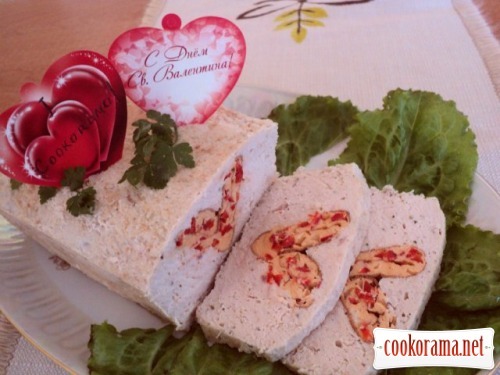 Top of recipe "Chicken terrine"